Coat hangers. Hot oil. Lye. The options women use to terminate unwanted pregnancy when safe medical or surgical abortions are unavailable or illegal. In Kenya, women resort to probing their vaginas with sharped sticks while women in other parts of the world frequently resort to beating their bellies with bats in hopes of ending the pregnancy. These and other methods of unsafe abortions expose women to debilitating or life threatening infections and hemorrhages. According to the World Health Organization, 4.7% to 13.2% of all maternal deaths each year are attributed to unsafe abortion. 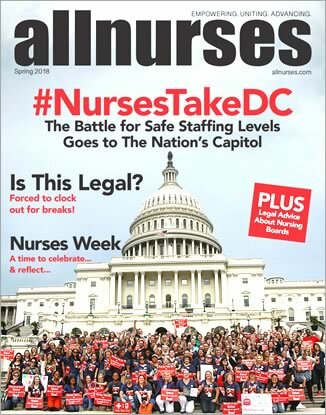 As nurses, we must do all we can to make sure evidence-based medicine reaches all corners of the earth so that potential patients do not resort to dangerous amateur techniques. It is our duty according to the nursing principles of beneficence and prevention of maleficence. What is the most effective way to prevent morbidity and mortality from unsafe abortions? Contraception and other family planning services. When the United States has imposed the so-called Mexico City Policy, under the last three Republican presidents, rates of abortion INCREASED in countries receiving US heath aid. During the second Bush administration, the policy was associated with a doubling of abortion rates in sub-Saharan Africa. The Mexico City Policy, also known as the Global Gag Rule, prohibits foreign organizations from promoting or providing abortions if they are to receive US aid for family planning (primarily contraceptive) services. Public health researchers believe that reduced financial support for family planning services under the gag rule resulted in women substituting abortion for contraception. At the start of their term in office, President Trump and Vice President Pence expanded the gag rule from affecting only family planning to pertaining to all foreign health aid receiving US funds. This means assistance will be denied to HIV/AIDS treatment programs, malaria and tuberculosis prevention, malnutrition efforts, and maternal-child health care if they are organized by foreign NGOs that also provide abortion. Organizations currently related to abortion services will have to refuse US assistance, leading to the closure of obstetric and infectious disease clinics throughout the developing world. How many more people should be infected with HIV because of a policy routed in ideology instead of evidence? How many starving children should loose access to nutrition assistance? Children and mothers will be those hardest hit during this presidential term. Large organizations with broad scopes including abortion are often the only ones that can reach remote or dangerous communities. Programs run by such organizations are the sole providers of any sort of conventional healthcare in many communities. Marie Stopes International estimates that an additional 21,700 women will die from pregnancy or childbirth complications while the gag rule is in place because they will no longer be able to support certain efforts without US funds. The International Planned Parenthood Federation, which provides far more reproductive health and contraceptive services than abortions, predicts that their loss of funding will lead to 20,000 more otherwise preventable maternal deaths. Real lives are being risked for an ideology contrary to scientific and historical evidence. To be clear, the Mexico City Policy means that services other than abortion cannot be funded; the passage of the Helms Amendment in 1973 already prohibits the use of foreign assistance funds towards abortion provision. Neither of the provisions have actually prevented abortion. Instead, they have given rise to gruesome, underground methods of termination that result in thousands of otherwise preventable deaths. Nurses cannot let this happen. Oppose the Mexico City Policy whether or not you are opposed to abortion as it does not decrease incidence but, instead, makes girls and women resort to torturous, dangerous techniques. Oppose the Mexico City Policy because it will dramatically decrease other healthcare services in the developing world. Oppose the Mexico City Policy.